TorrentFreak is reporting that the Creative Commons licensed documentary about The Pirate Bay, “TPB AFK: The Pirate Bay Away From Keyboard”, is being “censored” by several Hollywood studios through DMCA takedown notices to Google and others. The irony of the debacle is of course not lost on anybody, however, as Ernesto at TorrentFreak also comments, the “more likely explanation is that [it is] collateral damage. Most DMCA takedown processes are fully automated and somehow the TPB-AFK links were (mistakenly) associated with infringing titles”. However, he continues: “The whole episode shows once again that something is seriously wrong with the current implementation of the DMCA takedown system. At the moment rightsholders get to take down whatever they want, with almost no oversight and no incentive to improve the accuracy of their systems”. On the positive side, the free documentary is getting some extra publicity. It can be downloaded from The Pirate Bay, completely legal, if you live in a country which still allows you access to that site, that is. However, you can also get it and contribute on its official web site, watch on YouTube, or read up on it on IMDB or Wikipedia. Next week, the “six strikes” system in the “war against downloaders” will take effect in the US. The music and movie industry has lobbied (and paid for) this law. However, it seems it might not have the desired effect, lest people are very compliant. After the first couple of times, you might get a warning, and have to complete courses on how to secure your Wifi. At the sixth strike, your Internet speed will be slowed down for a couple of days. However, after the 7th, 8th and 9th time, nothing else is in store for you. So, your duty as a freedom loving citizen is to pirate as much as possible, and break free from the whole system after six warnings you can happily ignore. On an international scale it gets even more interesting. For their reluctance to comply with US law, Spain and Canada have been put on a special US “watch list”. Now, in Spain’s case, it is interesting that it seems it is actually legal to both upload and download copyrighted material, as long as it is not for commercial profit. Being on this “watch list” is in fact a sign of living in a country that care more about their citizens than old fat American corporations. So, make sure you pirate to contribute to a free society, and get your country listed as a free nation. “For the first time in history a Pirate Party has managed to enter a state parliament. 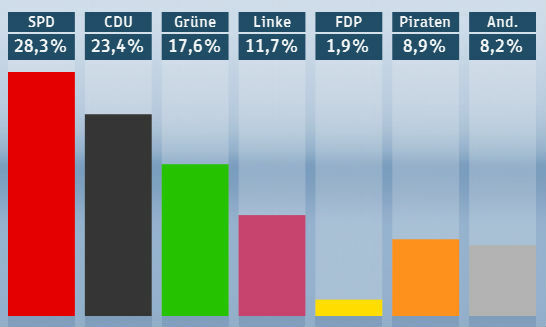 With an estimated 9 percent of the total vote the Pirate Party exceeded the 5% floor needed to enter the Berlin parliament with several seats. For the international Pirate Party movement this is the second major success after the European elections of 2009. We obviously need new terminology. By labeling people who let’s say “back up” data as “pirates”, the word “pirate” has come to mean something harmless, even cool. Yet the word is still used in the traditional sense to describe people who attack at sea, and destroy rather than create, and kill viciously, and actually take something away from people. The pirate analogy is a bad one for copying data. The jesus analogy works better I think… he made some copies of fish and bread and distributed it free of charge. People who copy data should henceforth be referred to as “miracle workers.” Now try to paint them in the same exaggeratedly bad light with that name.